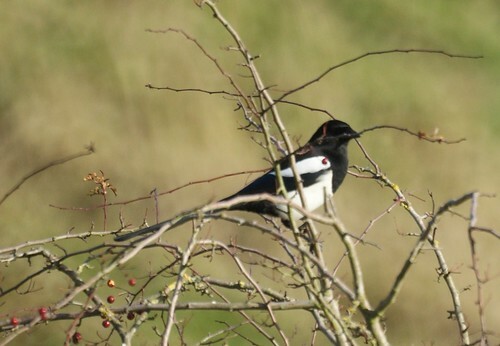 Its been a while since I`ve been able to go bird snapping. One of those things that comes with getting married, and of course the horrible weather. Saturday turned out to be relatively sunny and I headed out to Blackberry hill for my first session of autumn bird snapping. There were birds aplenty, but for some reason none of them wanted to expose themselves and stuck to the safety of bushes. I discovered a thick clump of berry bushes, under which the recent rains had given rise to a small rivulet. 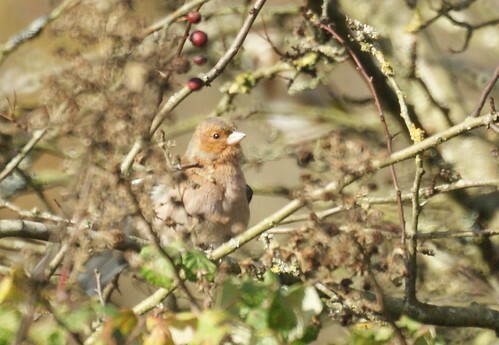 Chaffinches seemed to be the flavour of the season and they came and went freely. 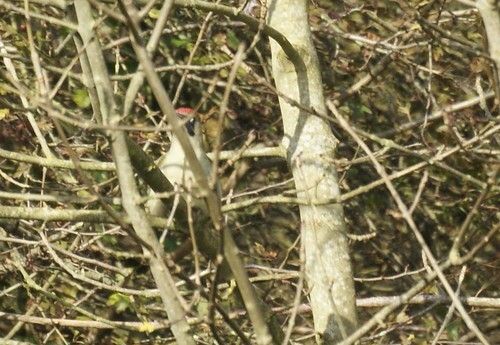 Goldfinches too were common although not as much as the chaffinches in the area. The finches seemed to be taking a bath somewhere behind the bushes, then flying upwards and then preening themselves on the bushes. 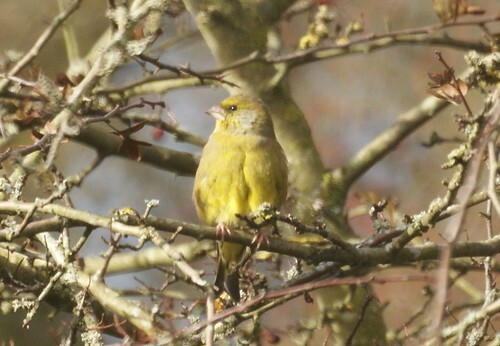 The most audacious out of the finches though seemed to be this greenfinch who posed within sight and had a long preening session. 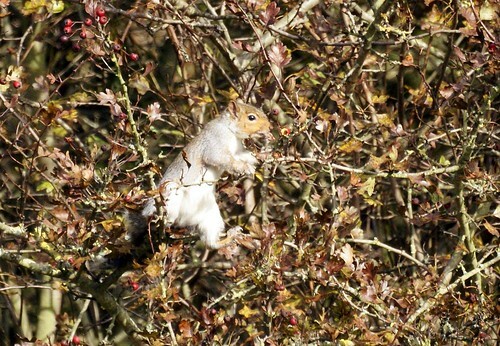 halfway through my stalking these finches, my attention was diverted by movement in the bushes and I looked away to see a squirrel doing its antics. 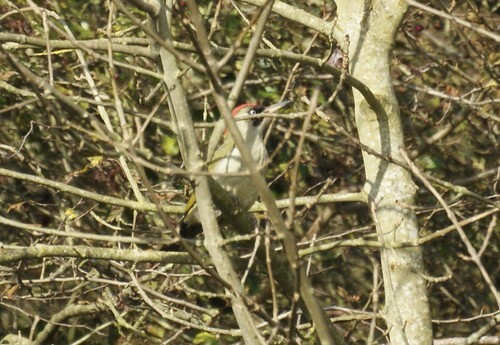 soon after, I heard a flutter and caught a wisp of green and red as a green woodpecker flew past and sat among the trees. 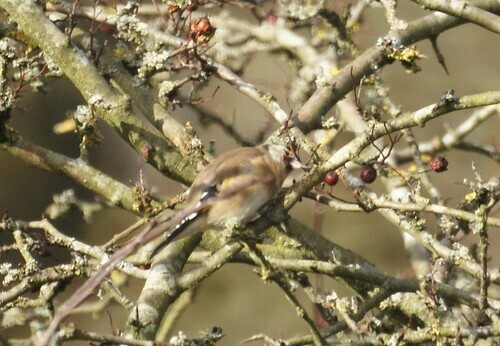 these photos are cropped quite a bit, as the bird was quite far away. 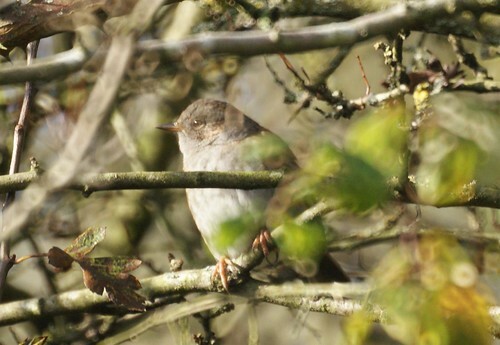 Not long after, a dunnock flew up after its bath and sat close by…..
…to give me a couple of good shots before the shuttter sound annoyed it and it flew off. 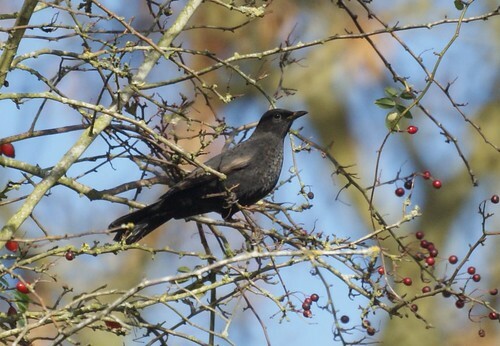 apart from chaffinches, blacbirds were quite common and very active. 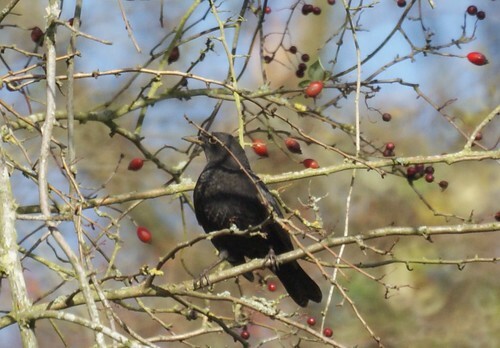 Some of them looked too slender and had me doubting if they were really blackbirds. 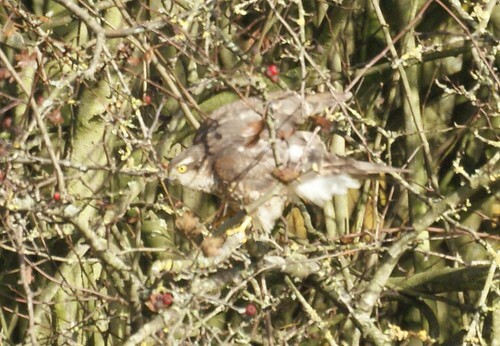 Finally I decided to try and penetrate the bushes and try and discover where exactly the birds were bathing. I broke through the thorny bushes and emerged behind and discovered the stream. 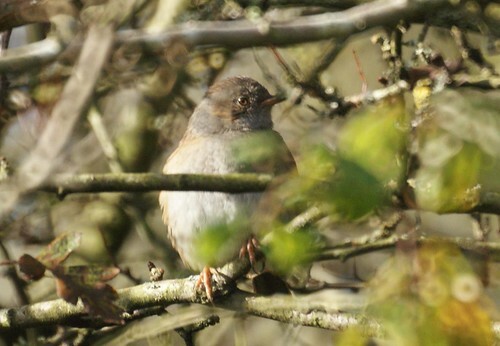 I thought it would be the perfect place to sit and wait for the birds to turn up . 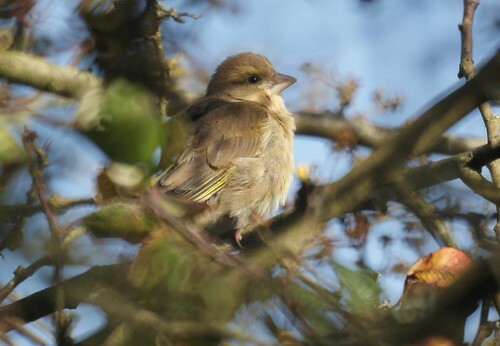 However other than this greenfinch above and a goldcrest that surprised me by jumping right in front the birds soon dried up. 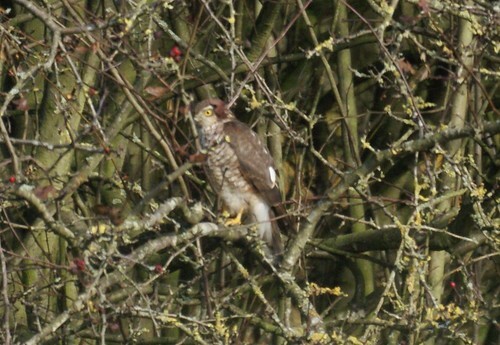 Sitting among the bushes was this female sparrowhawk! No wonder the smaller birds wished to make themselves scarce. 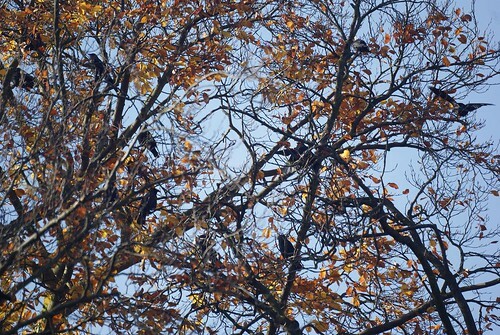 On my way back, I encountered this colony of roosting ravens. 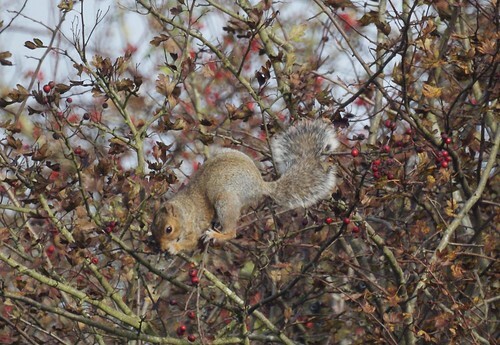 Having watched Autumnwatch earlier, they drew my attention. 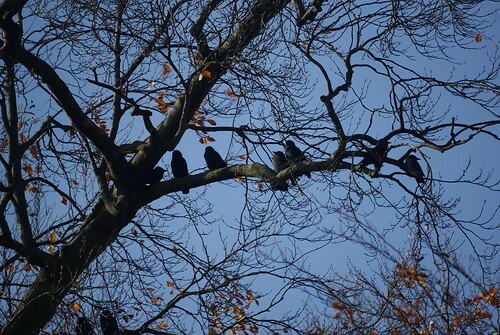 For those who havent seen the raven episode on autumnwatch here`s more information on it. The next day turned out to be a rainy one and I was happy I managed to catch one day of birding. I must say its really getting to me that I cant keep up with the birding…even my dreams at night these days are of bird snapping!